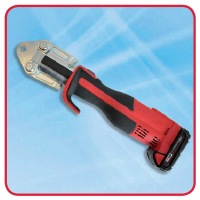 Maincor Battery operated Pressing Tool suitable for pressing fittings from 16 – 63mm. The tool is supplied with a rechargeable battery and a charger. Press jaws are supplied separately (see below).